The forth part of the report is about the Foreign Exchange Operations It is an International department of a Bank It facilitates international trade through it various mode of services It bridge between importers & Exporters. Islamic Affairs. Two eminent personalities of Saudi Arabia namely Fouad Abdul Hameed Al-Khateeb and Ahmed Salah Jamjoom, are also the sponsors of the Islami Bank Bangladesh Limited. 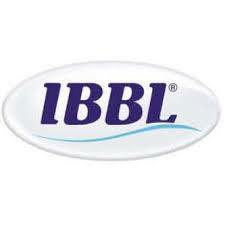 (GB 1993/94).The responsibility for management and formulation policy of the IBBL is vested in the board of directors. The board consists of 14 local and 9 foreign directors. As a rule in the Article of Association, a Bangladeshi director is to be elected as the chairman of the company. A high powered Executive Committee has been formed to assist the chairman. There are six members in this committee, nominated by the board of directors. In addition to this there is a Management Committee consisting of the most senior executives of the bank. There is also a Shariah Council comprising famous Islamic scholars, economists and bankers. This Council is responsible for supervising the day to day affairs of the Islamic bank from the viewpoint of the Islamic Shariah. (GB, 1995).